Apple, Microsoft, Facebook—what do these successful businesses have in common? For one thing, they all had humble beginnings. Every entrepreneur aspires to be the next startup success story. Many of them put in the hours, the work, and the time. Yet, a startling number of these fledgling businesses fold within the first year. Why is this the case? The failure rates vary by country and industry, but it’s a fact that many startups fail. Often, this has little to do with a lack of dedication or passion on the part of their CEOs. Some common causes, for example, include misunderstanding market conditions, having insufficient capital, and overexpansion. By the numbers: learn about startup business failure rate by industry. However, that’s not the whole story. Startups fail largely for one reason, and that’s a lack of high calibre executive talent. That isn’t to say that the individuals in question are necessarily unqualified—at least on paper. Much of a startup’s success has to do with other personality factors, some of which are difficult to discern during the hiring process. Having well qualified executive talent on the team is one of the most important actions you can do as a start-up business leader to bolster your business’ chances of becoming the next “Big Thing.” Here are some of the common missteps startup businesses make during the hiring process, and what you can do to avoid them. Starting a new business is exciting. It’s a busy time and, consequently, it can be tempting to rush through the hiring process. In reality, the choices you make now will have lasting consequences down the road. In the software industry, this is known as “Error Cost Escalation.” Essentially, the earlier you address potential issues, the less costly they are to fix. That’s why it’s important to get it right—right now. Don’t be tempted to ignore best practices when it comes to hiring. Ideally, the executive talent you hire will be in it for the long haul. Moreover, they’re going to be responsible for developing the business, especially during the early stages. Starting a business is risky enough. Don’t add extra uncertainty into the mix by not fully exploring your hiring options. That means following up with references and really getting to know the candidate. Understand their career goals, their motivations, and think about whether their skill set matches what the business needs at this moment in time. You don’t need to hire the first talented person who comes along, make sure you broaden your talent pool by running a process which enables you to benchmark candidates against what you need and against their peers. Screen candidates carefully, don’t make hasty decisions, and be absolutely sure the talent you’re hiring is the right fit for your company. Enthusiasm and a positive attitude are essential for a startup. It’s what motivates your employees to go above and beyond, put in extra hours, and overcome difficult challenges. It is not, however, a substitute for a robust skill set and extensive domain knowledge. While starting a new business is a learning experience for everyone, you need to ensure that your executive talent has the prerequisite experience to back up their enthusiasm. Hire individuals with a proven track record of success. Even if they haven’t worked for a startup before, the best candidates should have experience in their field. Additionally, their employment history should demonstrate that they can consistently get results. Skills matter, but it isn’t everything. Even the best talent won’t be fully-utilized if they can’t adapt to the company culture. It’s all the more critical because you’ll be working closely with executives to manage your team, finances, or other essential parts of the business. Your hiring profile should include personality traits as well as a preferred skill set. Don’t hire someone hoping they’ll adjust to the culture you want to establish—hire someone who already embodies your company’s values. Common characteristics of a successful startup executive include confidence, being a team player, resilience, and resourcefulness. One of the fatal mistakes startups make is to have ill-defined goals or a lack of quantifiable metrics by which to monitor success. Once you hire talent, you have to follow-through. There are countless stories from CEOs who did everything else right but were missing that key element. If you don’t know what success looks like, how can you achieve it? Set milestones and use quantifiable metrics to discern how performant your executive talents are. Track successes so that you can reward achievement or course correct if necessary. Use the information you collect to guide your employee’s growth. Your business will grow along with them. Be one of the success stories! Avoiding these common mistakes will greatly increase the odds of running a successful startup. With great executive talent, you’ll be well-equipped to handle the challenges that come with bringing a new product or service to market. Soloman Associates is the recruiting partner of choice for startup businesses. 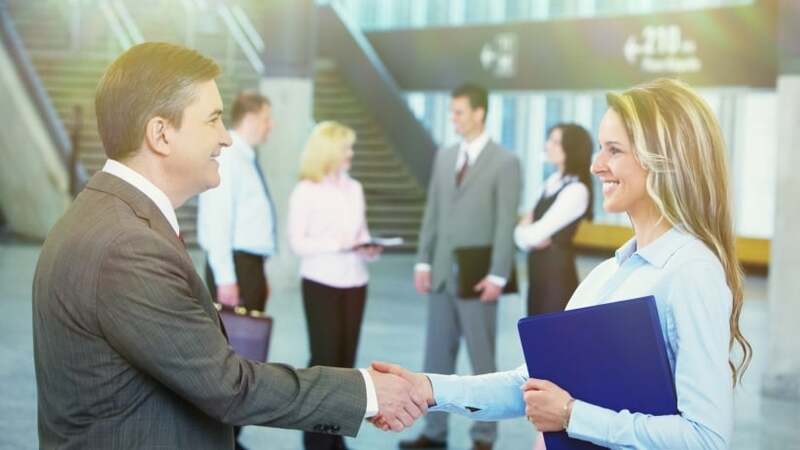 With our broad talent network supported by our proven Executive Search Process and results-oriented style of recruiting, we connect business in all stages to the highly-qualified leadership Talent that drives your business. We understand that our client partners are inspired by passion and driven by success, because we are, too!